I just spent a week in my Native New Mexico. It was a memorable week spent with family on the farm with a side trip to visit my sister Kat. Being surrounded by guys every day, it was so much fun spending time with the girls. We had two days of shopping, talking and eating great food. 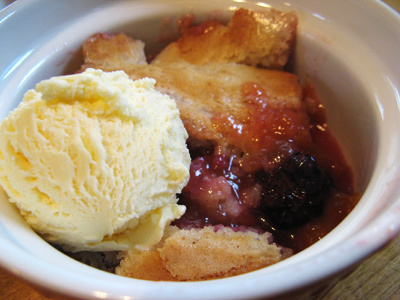 Leading up to the trip, I was reminiscing about my Mom’s cobbler. 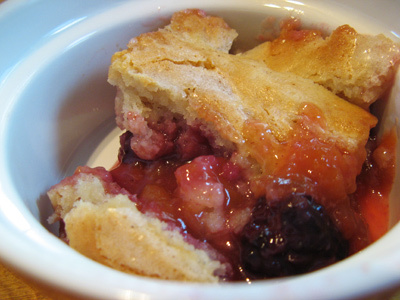 She doesn’t make it as often these days but in my memories her fruit cobblers were the absolute best. My favorite recipe is from an old cookbook by the Progressive Farmer. It’s so versatile in that you can use almost any fruit, fresh or frozen, and it turns out great. 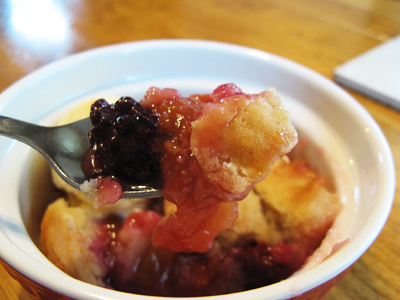 I had peaches and blackberries in the freezer which turned out to be a perfect combination. The topping is unusual in the making but I know you’ll love the results. Just don’t count any calories, that would spoil all the fun! 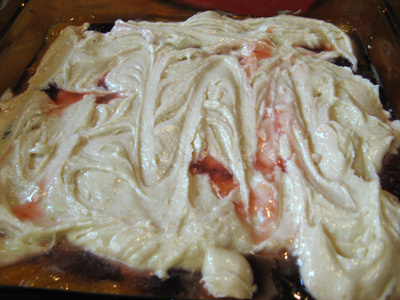 For the fruit, I thawed 2 cups of frozen peaches and 1 1/2 cups frozen blackberries. The topping consists of butter, flour, sugar, salt, corn starch, baking powder, and half and half. 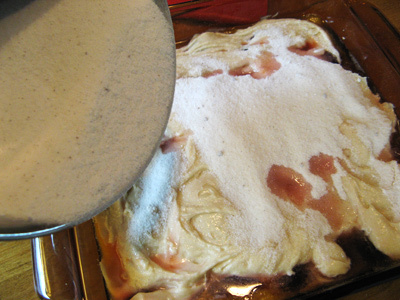 Combine flour, baking powder and salt together. In a mixing bowl add butter and 3/4 cup sugar. 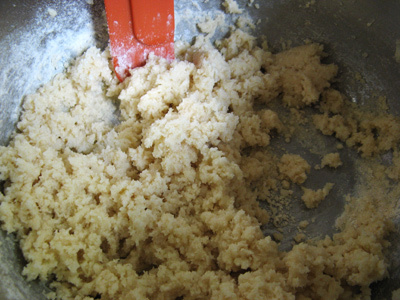 To make the batter for the topping, start by creaming the softened butter and sugar. 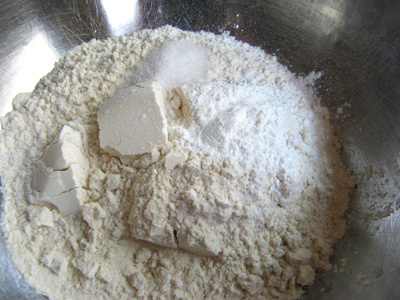 Add flour mixture alternately with half and half. Beat mixture on medium speed of a hand mixer. 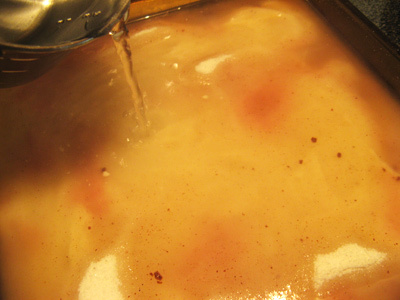 It will be a bit thick at first, keep beating until you have a nice batter going. 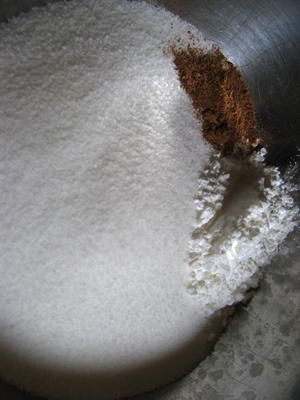 In a separate bowl, mix together 1 cup sugar, 1 tablespoon cornstarch and 1/4 teaspoon nutmeg. Time to put this together. 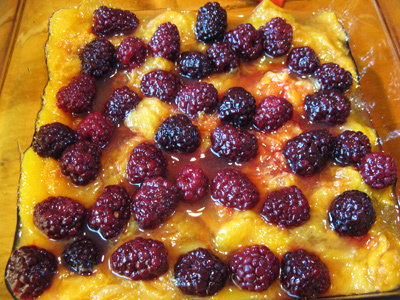 In a 9 inch baking dish place the frozen peaches on the bottom of the pan and add the blackberries over the top. Spread the batter over the fruit. Now comes the fun part. 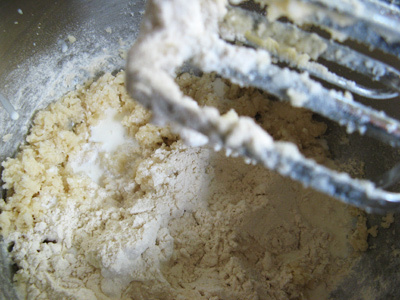 Sprinkle the sugar, cornstarch and nutmeg over the batter. Now this is the odd part, or maybe not. 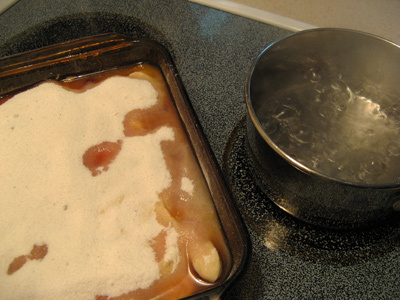 Add 1 cup of boiling water over top of the batter and sugar mix. Pour slowly so as not to displace the sugars on top. Now place the baking dish in a 350 degree oven for 1 hour. 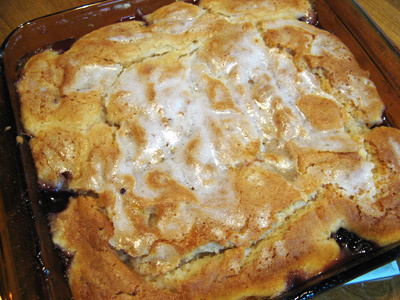 It comes out of the oven with this crisp sugary topping that is oh so divine. I like ice cream with my cobbler. Place the peaches in the bottom of a 9 inch baking pan. Add the blackberries over top. 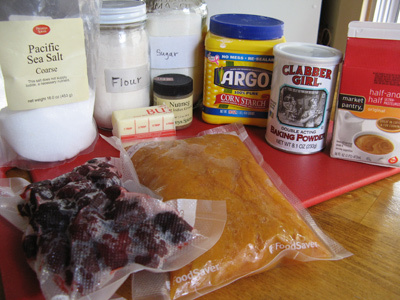 Combine flour, baking powder, and salt. Set aside. 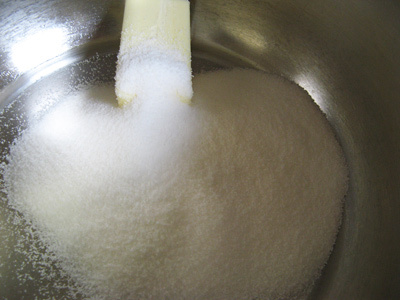 Place the butter and 3/4 cup sugar in a mixing bowl. 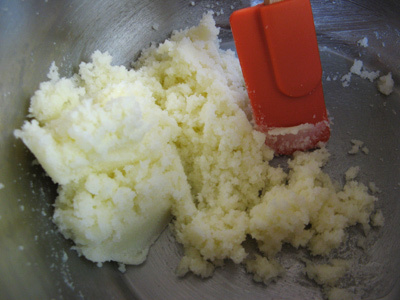 Beat on medium speed of a hand mixer to cream butter and sugar. 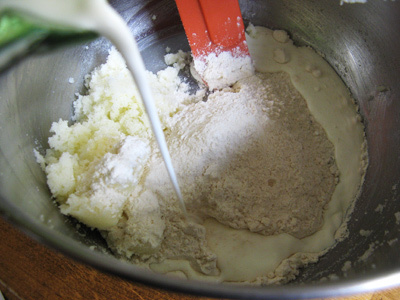 Add flour mixture alternately with half and half to the creamed mixture. 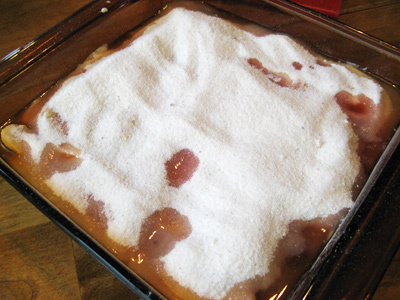 Beat until you have a smooth batter, then spread over the top of the fruit mixture. Combine 1 cup sugar, cornstarch, and nutmeg. Sprinkle over batter to cover. Pour 1 cup boiling water slowly over the top of the sugar. Bake at 350 for 1 hour. Serve with ice cream or whipped cream. I would love to have a dish of that right now! Thanks much, you are so sweet!